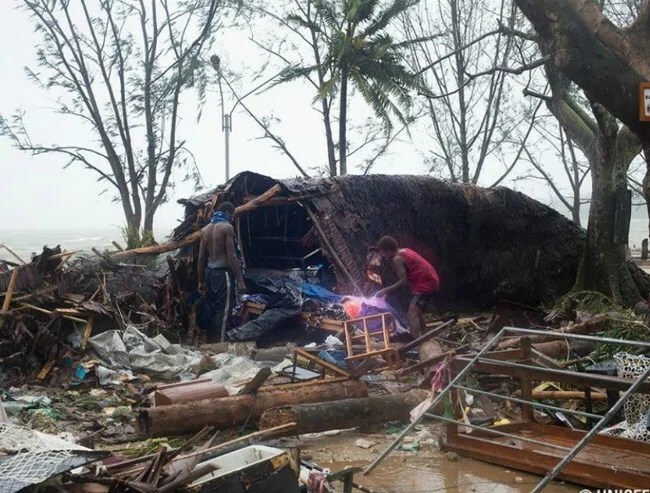 A meeting will be held Monday in the Foreign Ministry to determine the type and scope of aid Israel will send to the pacific island nation of Vanuatu ravaged by a cyclone over the weekend. The ministry is waiting for a UN team determining the country’s needs before deciding what aid to send. Vanuatu, a cluster of 83 islands with a population of some 260,000 people in the south Pacific, is one of a number of pacific island states that traditionally vote with Israel or abstain on votes dealing with the Middle East in the United Nations. One Foreign Ministry spokesman said that Israel wants to help the country first because it is reeling from the devastation caused by the cyclone, and secondly because its close friendship over the years makes Israel feel an even greater obligation to help it. At least eight people were killed, and tens of thousands of homes destroyed, as winds of more than 300 kph ravaged the island Friday night and Saturday.